Hello all! I am back with another Gina Marie Designs creation today! 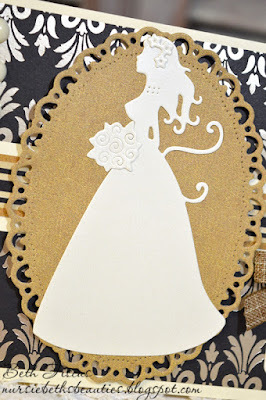 This one features a gorgeous new bride die cut that is new HERE. 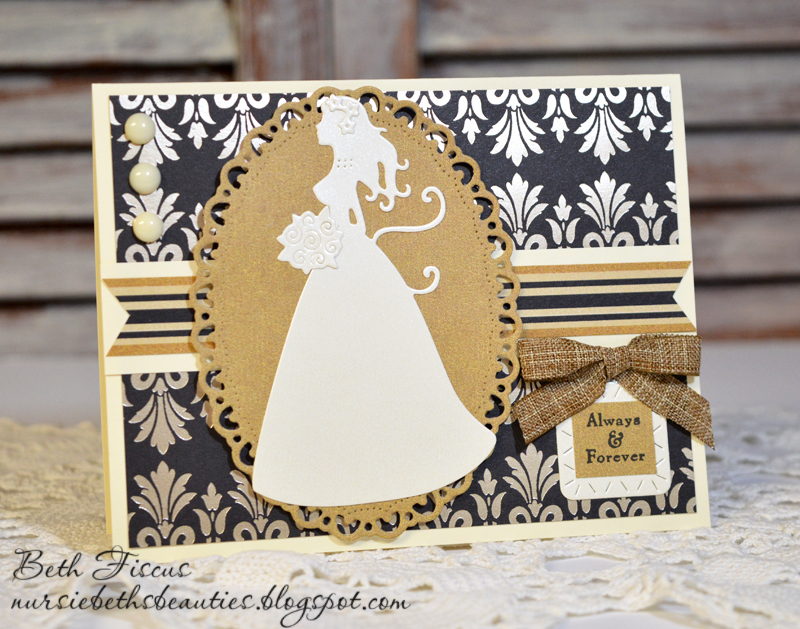 I cut the Beautiful Bride Die Set out of a pearlized cream colored paper from DCWV's Whites stack. 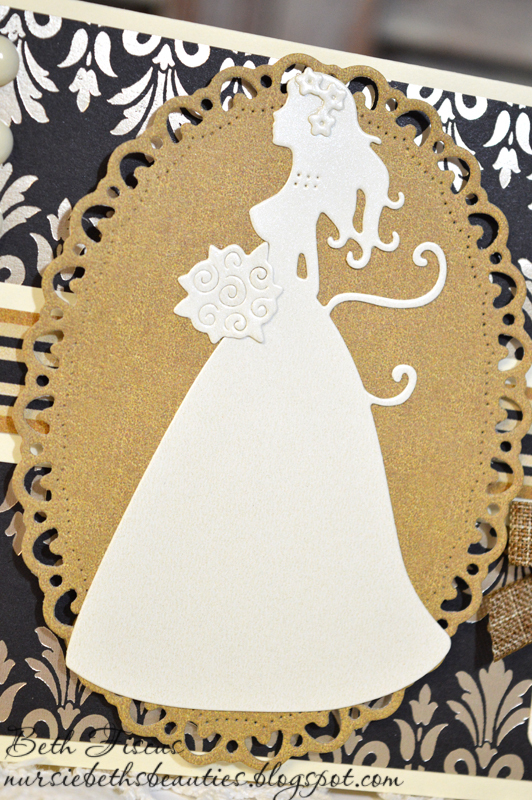 The other papers I used on this card are from The Paper Studio's Simple Elegance mat stack. I also used the GMD Crocheted Lace Oval Die Set and GMD Slash Stitched Round Squares die on this card. The bow is brown linen from The Paper Studio and I added three cream homemade enamel dots in the top left corner with Glue Dots stitch glue squares. Such a lovely card my friend! Beautiful card! 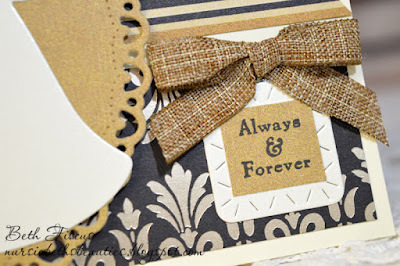 I just love the combination of papers you used! The dies are so gorgeous and the bow is the perfect finishing accent! Simply stunning! Have a fabulous weekend! This card is so fabulous! Very elegant. Lovely Wedding card.. I really like that beautiful Silhouette!